There is no shortage of feminist criticism available on the world wide web these days (Lip included, of course), but Brodie Lancaster is one feminist writer doing things the old-fashioned way. 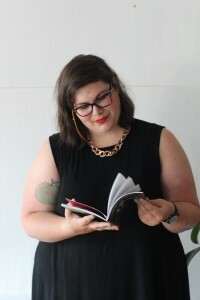 Brodie is the Melbourne-based founder and editor of Filmme Fatales, a zine that brings a feminist perspective to cinema and the filmmaking industry. She tells me that the overarching mission of the zine is to explore ‘the places where film and feminism intersect’. After leaving an editor position with website Portable.tv for a gig in advertising, Brodie found she missed film-writing and was in need of a creative outlet. By starting the zine, she was able to return to writing about her passions. ‘I just figured I would start my own project that took my favourite parts of my old job—so, working with really cool young writers, and commissioning great art, and just discussing the things that I wanted to talk about… [I] didn’t have to worry about page views or Google analytics or any of that kind of stuff,’ she says. In print, she was also able to create work that would have greater longevity. As for the choice of film and feminism, Brodie felt it was a perspective that was missing from the film-writing space. Each issue of the zine has a broad theme that writers can work with as they see fit. The first was themed around women in their twenties. This was chosen at a time when chatter about HBO program Girls and creator Lena Dunham was everywhere, and yet Brodie felt there was more to be said about women in their twenties and filmmaking. ‘I thought that the talk about Girls kind of came from a perspective of assuming that Lena Dunham was the only person to have ever written about women in their twenties,’ she says. It turns out there was plenty more to say about women in their twenties, with several interviews with young filmmakers featuring in the issue. There was also a fun twist on the theme with one article about women working in the 1920s. The most recent issue was themed ‘working girls’, and Brodie tells me it features content as diverse as a Pretty Woman fan fiction, fake resumes for Sofia Coppola characters and an article about the absence of female filmmaker characters onscreen. 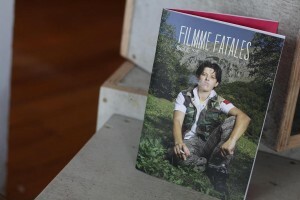 Filmme Fatales has been received with enthusiasm. The issues have been selling fast, and Brodie plans to reprint the first two in the near future. The zine has also opened new doors for Brodie herself, who now works as a staff writer for Rookie and has recently taken on a paid job as an editor for a content agency. As one might hope when making a zine about women and cinema, there has even been attention coming from female members of the industry. For Brodie, having actresses buy the zine is a thrill. ‘I see their names come up in PayPal and I’m just kind of like, how did Jean Tripplehorn find out what I was doing?’ she says. As you might expect, Brodie has plenty of thoughts about what is wrong with the film industry today. I ask her to name any developments that are giving her hope for the future of the industry, and she pauses. ‘Um… Let me think. I guess it says a lot that I don’t have something… I don’t have an answer right away,’ she laughs. Brodie then goes on to suggest that there is still a lot that needs to change. For example, she notes that there has only ever been one female winner of an Oscar for directing. ‘As much as those awards don’t mean anything, they still set a standard of who’s going to be allowed into this club and who gets to tell women’s stories,’ she says. Clearly, there is plenty of material for a zine that combines a feminist critiques with an interest in film. With a fourth issue in the works and plenty of interest, it looks like Filmme Fatales has an exciting future with Brodie at the helm. You can purchase copies here and check out Brodie’s writing at her personal website. This entry was posted in Arts, Culture, Film and tagged film, women in film. Bookmark the permalink.